Here’s everything you ever wanted to know about about shooting your video in Orlando, Florida! s Guide to Shooting in Orlando, Florida – the center of the Sunshine State! Before you arrive in any new city, it just makes sense to get the “lay of the land” beforehand! These notes are designed to help you “map out” everything you need to know when shooting in Orlando, Florida – landmarks, climate, and local “hot spots” – we’ve got it all covered for you – right here! Located in Central Florida, Orlando (reportedly named after Orlando Reeves, a soldier who died in the area in 1867) was incorporated over 100 years ago. According to the United States Census Bureau the population of the Greater Orlando area, as of 2008, was just over 2 million. It is the third largest metropolitan area in Florida (behind Miami and Tampa), the 8th largest metropolitan area in the south, and one of the fastest growing metro areas in the sunbelt. Orlando is situated in the middle of the “I-4 Corridor” – between Daytona Beach and Tampa Bay, and is just over an hour’s drive from Patrick Air Force Base, Cape Canaveral Air Force Station, and Kennedy Space Center. The Beachline (Highway 528) gives you direct access to Port Canaveral, one of the largest cruise ship terminals in the United States. Since Orlando is so close to the Space Coast and the Kennedy Space Center, many high-tech companies have shifted their offices, or main “base” of operations to the Orlando area. The aerospace/defense company Martin Marietta (now Lockheed Martin) has had a presence in the city for over 50 years. And CENTCOM (the U.S. Operational Command Center for U.S. and Coalition troops in Iraq and Afghanastan) is located an hour west, in Tampa. Other companies have either offices or labs in the Metro Orlando area: KDF, General Dynamics, Harris, Mitsubishi Power Systems, Siemens, Veritas/Seagate, multiple USAF facilities, Naval Air Warfare Center Training Systems Division (NAWCTSD), Delta Connection Academy, Embry-Riddle Aeronautical University, GE, Air Force Agency for Modeling and Simulation (AFAMS), U.S. Army Program Executive Office for Simulation, Training, and Instrumentation (PEO STRI), AT&T, Boeing, CAE Systems Flight & Simulation Training, HP, Institute for Simulation and Training, National Center for Simulation, Northrop Grumman, and Raytheon Systems. Aside from it’s many lush PGA Tour designed golf courses, the most famous, and most critical part of Orlando’s economy, started just over 45 years ago, when Walt Disney announced his plan to build Walt Disney World. Miami and Tampa were also strong considerations for Disney, but Orlando’s proximity to the turnpike, and inland protection from hurricanes sealed the deal for central Florida. The Magic Kingdom opened in October 1971, and the population and economic growth for the central Florida city exploded! As a result, tourism has become the centerpiece of the area’s economy. Since the opening of Walt Disney World, Orlando has consistently been ranked as one of the top vacation destinations in the world, boasting more theme parks and entertainment attractions then anywhere else on the planet – Sea World, Universal Studios Florida, Gatorland, Cypress Gardens, Busch Gardens, to name a few! And in 2004, the Orange County Convention Center expanded to over two million square feet of exhibition space, and is now the second-largest convention center complex in the United States. Orlando is located at 28°32′1″N 81°22′33″W / 28.53361°N 81.37583°W / 28.53361; -81.37583 (28.533513, -81.375789). According to the United States Census Bureau, the city has a total area of 261.5 km² (101 mi²). 242.2 km² (93.5 mi²) of it is land and 19.3 km² (7.5 mi²) of it (7.39%) is water. Orlando is, on average, 106 feet (32 m) above sea level. Orlando has two major seasons – hot and rainy – June through September – and the dry season – October through May – that brings cooler temperatures and a lot less rainfall. Orlando is classified as a clear humid subtropical climate ranging from hot and rainy summers to dry and mild winters. The average high temperatures are over 90 °F (33 °C) for almost five months out of the year, and it’s not uncommon for triple digit temperatures to pop up from time to time. During the height of the humid summer season, temperatures rarely fall below 70 °F (21 °C), and daytime highs average in the upper 90s (33-39 °C). However, the extreme central Florida humidity can push the heat index to over 110 °F (45 °C). During these months, strong afternoon thunderstorms occur almost every day. Spectacular lightning, heavy rainfall (sometimes several inches per hour), and powerful winds are not uncommon. During the cooler seasons, the humidity is much lower and temperatures are more moderate. The average nighttime lows in January are usually around 50 °F (10 °C), and the average daytime highs are in the low 70’s. Orlando receives about 50 inches (128 cm) of rain each year. And most of that occurs between June and September. The months of October through May tend to be the driest times of the year. The Orlando International Airport (MCO) is Orlando’s primary airport – the busiest airport in the entire state. According to J.D. Power & Associates the airport was ranked by passengers as the #1 airport in the nation. OIA has 2 terminals with radiating air-side terminals, and elevated trams carry passengers to their gates. The airport also houses an on-site Hyatt Regency hotel. The Orlando Sanford International Airport (SFB) is located just to the north in Sanford, Florida, and serves as a secondary airport, mainly for European discount carriers and charters. The Orlando Executive Airport located near Downtown Orlando, serves mostly executive jets, houses flight training schools, and is home to general small-aircraft aviation. Interstate 4 is Orlando’s primary, and only interstate highway. Orlando is 2nd largest city serviced by one interstate and is the largest metropolitan area in the US serviced by a single interstate expressway. The interstate begins in Daytona Beach (the beginning of the I-4 Corridor) and travels across the mid-section of the state directly through Orlando, ending in Tampa. I-4 is also known as State Road 400. East-West Expressway (Toll 408) is a major highway managed by the Orlando-Orange County Expressway Authority. The highway splits I-4 in Downtown Orlando providing a key artery for residents commuting from the suburbs in the east and western parts of the city, including the University of Central Florida area. The highway also intersects with the Central Florida Greeneway (Toll 417) and Florida’s Turnpike. Beachline Expressway (Toll 528) provides key access to the Orlando International Airport and serves as a direct line to the Atlantic coast, specifically Cocoa Beach and Cape Canaveral. It starts in Orlando and ends in Cocoa. Central Florida Greeneway (Toll 417) is a key highway for East Orlando, and is managed by the Orlando-Orange County Expressway Authority. The 417 serves as Orlando’s eastern beltway and intersects the East-West Expressway (Toll 408) and the Beachline Expressway (Toll 528). It begins and ends on Interstate 4. Florida’s Turnpike (Toll 91) is a major highway that connecting northern Florida with Orlando and Miami. It is the gateway to Miami. Daniel Webster Western Beltway (Toll 429) serves as Orlando’s western beltway. The highway serves as a new “back entrance” to Walt Disney World from Orlando’s northwestern suburbs including Apopka. Every crew across the country has their own set of guidelines by which they conduct business. And, as different as each city is from another, so are those guidelines. Every producer should have a basic understanding of each city’s standards. For instance, shoots in Raleigh are based on a ten hour day and the crew is “on the clock” at the specified crew call. Overtime (at a rate of time and a half) begins after ten hours. And if your shoot takes the crew to a distant locale, travel time can be expected, which is normally billed into the shoot day unless overnight travel is planned for. For more details on our Orlando guidelines, contact us anytime or visit us on line at gototeam.com. But even with the perfect location, the best laid plans, and great weather, so much depends on the “right” crew! Booking that crew means not only finding one that gets the job done, but also does whatever it takes to insure you have the best shot each and every time! Are you conducting a series of interviews that requires dramatic lighting? Will you be “running and gunning” around the city? Or is your shoot going to require special equipment? Whatever the case, Go To Team has it all! Finding a crew that can handle all your needs is just as important as lining up all the interviews and creating your shot list. This article was written by Dan Beckmann, Cameraman/Partner and Director of Photography – Orlando Offices, Orlando, Florida – for Go To Team. 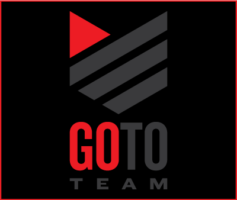 Go To Team is a leading provider of video production resources throughout the southeast – including video camera crews.